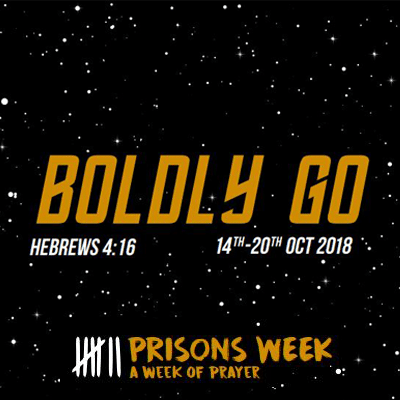 Every year, the Christian community comes together for a week of prayer and reflection centred around those affected by prisons: prisoners and victims, their families, their communities, those working and volunteering in prisons and the criminal justice system. For JRS UK, prisons week provides the opportunity to stand with, and remember, all those affected by imprisonment, especially our friends detained indefinitely in the prison-like conditions of Immigration Removal Centres. From the outside the similarities between prison and detention are obvious: the windows are barred, you are removed from society, you are locked in cells each night and your days are spent watched by guards. But for those who are held in immigration detention there is one large difference: there is no limit on the time you will spend there. In the UK, detention is an administrative process and not part of the criminal justice system, meaning there is no judicial oversight of the initial decision to detain a person. It is purely an administrative convenience. The decision could even be made by a junior caseworker. Our friends are not detained because they have committed a crime but simply because it is more convenient to hold them in one place while their immigration case is being reviewed; a process that could take an unknown amount of time. Another overwhelming difference between prison and immigration detention is the reason for the incarceration is not due to having committed a crime. Yes – there are some people in detention who have previously committed crimes, but this is not the reason they are held indefinitely in detention – the truth is they will have fully served their sentence in prison before being moved to a detention centre. Indeed, some people are kept in prison and held under immigration powers. The effect is individuals are punished twice: first through the sentence imposed by a judge at trial, and then again by remaining indefinitely detained. Detention does not only impact those men and women who are currently detained. They have been removed from their families, their friends and their communities who also feel the despair of indefinite detention; living in the uncertainty of whether they will ever be reunited. This prisons week, as we reflect on all those affected by prisons, let us especially hold in our prayers our friends who are detained. Let us take this injustice and, standing in solidarity with those who are detained, demand changes to a system that indefinitely separates people from their communities and their families. Find out more about how you can get involved with Prisons Week on their website.